Google's vast knowledgebase has expanded into customizing my map search results to include our wedding! 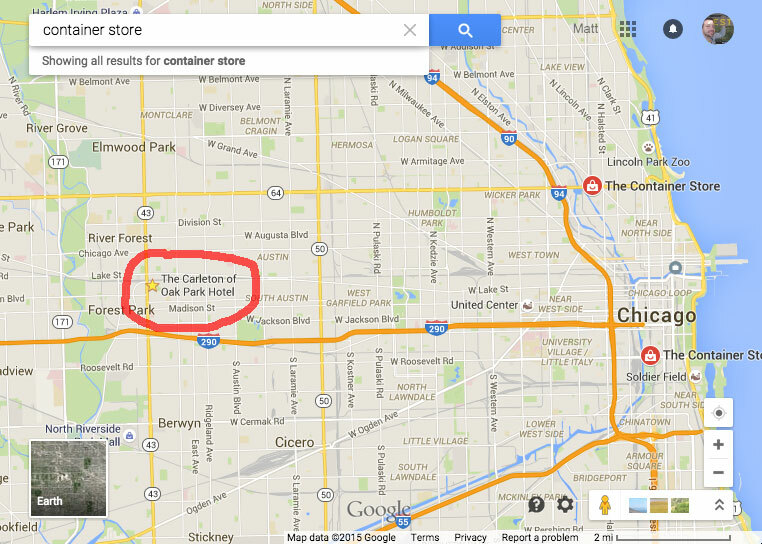 I was looking for Container Store locations on Google Maps; Google put our reception/hotel on the map of results. Does Google know that I'm looking up Container Store locations for gift boxes for the wedding? Google is like, "hey, looking for wedding gift boxes? Here's the location of your reception hall, just in case you want to pick up these boxes on the day of your wedding!" 2 Responses to Does Google know about our wedding? Oh, Google! I don’t if they’re trying to be helpful or just creepy.